Each TA is willing to meet with you outside of section by using email to arrange another time you can come in--either because you want some extra one-on-one help or because you just can't make the other times (so is the professor, although sometimes this means talking over the phone or skype). 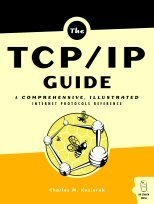 The TCP/IP Guideby Charles M. Kozierok, Fifth Edition. You can read this online for free. You are responsible to check your grades as they are posted using the Quick Link above. If there is an error on a lab or quiz, and you don't iniate resolution before the course grades are turned in, there will be no change in grade issued. The Ubiquitous Presenter slides from the lecture that covered the reading material are available during and after class (together with any ink applied dynamically). Feel free to review the slides at any time. Every subsection in the TCP and UDP Protocols section is pertinent. Routing Protocols (I suggest paying the most attention to BGP). Our book becomes useful around now, but it has far more nuts and bolts than we need to worry about. Our book still doesn't have that much on things at the low level, so we will continue to rely on lecture and Wikipedia. Your grade will come from the weekly quizzes (30%), the class exercises--exercises having to do with networking(20%), and your final exam (50%). Your weekly quizzes will cover the material listed in the assignments section of this website. Your quiz grade will be derived from your best 7 quizzes, but there will be no makeup quizzes. If this is a quarter in which you can't make it to class for at least 7/10 Thursdays, this is not a good class for you to take this quarter. I hate to talk about cheating, because I like to assume there will be none, but the School of Engineering says I must: If a TA finds or I find conclusive evidence that you have cheated on a quiz or exam, you will fail that quiz or exam. It will not be possible to pass this course with a grade of 0 on the final exam. You should know that if you have been officially charged with cheating, and the provost has ruled that you have cheated, you get a black mark on your record: this could lead to either suspension or expulsion from this university (and you may be ejected from any SOE major, which may not affect you). To receive credit for a weekly quiz, you must sit in one of the installed seats of the lecture hall, and you must put the names of your right and left neighbor on the top of your quiz page (put something like "end of row" if there is no one on one side). After you turn in your test, you must leave the lecture hall immediately, and if you have forgotten your backpack or other materials, you may not retrieve them until class time is over. You may not talk to anyone during the test time but the instructor or one of the TAs. Violations of this rule will result in a quiz score of zero on the part of the person doing the talking. Please feel free to tell either the professor or the TAs about any comments or suggestions you might have about how to improve the class. The best way to do this is by electronic mail, though please include "CMPE80N" in the subject line of any emails you send to us, and also send email to just *one* of us at a time unless we specifically tell you otherwise. You may also broadcast your opinions by using the webforum. Computer Networks, by Andrew Tanenbaum, Prentice Hall, Third Edition. Communication Networks: A First Course, by Jean Walrand, 2nd Ed., McGraw-Hill 1998. An Engineering Approach to Computer Networks, by S. Keshav, 3rd Ed., Addison-Wesley 1998. Power Programming with RPC, by John Bloomer, O'Reilly & Associates, 1992.